Evimiz is the one stop solution for house cleaning services in Dubai. We offering a wide range of domestic cleaning services for all your needs. Our professional cleaners can do anything and everything for you, starting from 15-minute quick cleaning of your house to completing the work for several hours. You will get quality housekeeping services for your money with exclusive offers and discounts from time to time. Feel free to talk to our professionals for any home cleaning services near you within your estimated budget. If you are looking for residential apartment cleaning services, our professional home cleaners in Dubai can offer a helping hand to your need. We know you are busy with your everyday life, and it can become difficult for you to do the cleaning work. Whether it is dusting, mopping, scrubbing or vacuuming, our cleaners are the right people who can help you with all housekeeping tasks. We can also lend a helping hand to your babysitting or pet sitting needs, house moving clean up or after party cleaning. you name it! What is included in the home cleaning process? 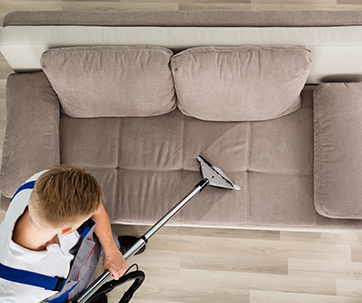 Select a cleaning service online – Our convenient online booking facility allows you to book an appointment with the experts and discuss your home cleaning service requirements. Smart professionals will reach your home – Your house cleaning service is managed by our trained professionals who have the right skills and equipment to provide the most desired results. Experts take care of everything – Our expert house maids understand your exact needs and take care of everything related to domestic cleaning services. Enjoy amazing results within a short time – Our home cleaning service specialists ensure to provide amazing results within a specified time. Are you ready to let us handle your home cleaning? You can rely on our experts who will be happy to help in every possible way!